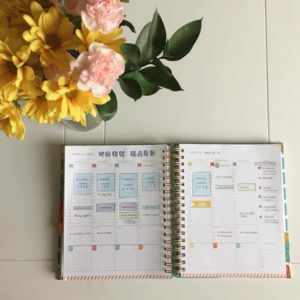 Do you have teens or tweens in your life (children, students, extended family…) who could use some support getting organized? 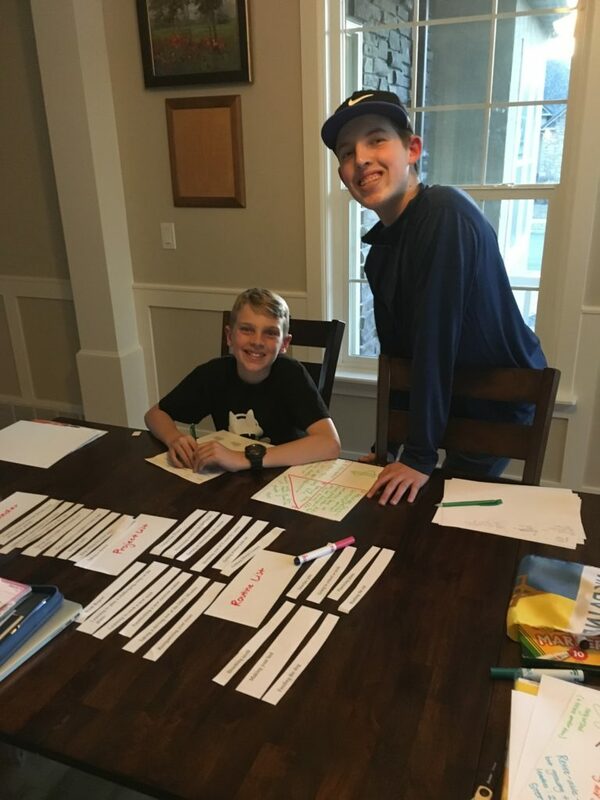 Eric and I recently sat down with our three youngest children and helped them to learn about Current Projects, Routines, Calendars, and Next Actions. We’ve summarized the 5-part process below, but if you’d like to get all the details, just click the player button on the audio player above. We also made printable versions of all the tools we used so you don’t have to reinvent the wheel! Part 1: Vision paper (10 min) – Who do you want to become? What do you want to achieve? Where do you want to go? What would you like to do for others? What would you like to have? 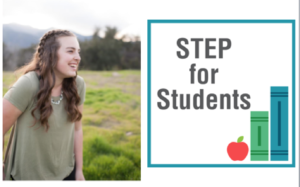 Part 2: Define the STEP Support Resources (5-6 min) – Click here or on the picture below to print out the worksheet we used! 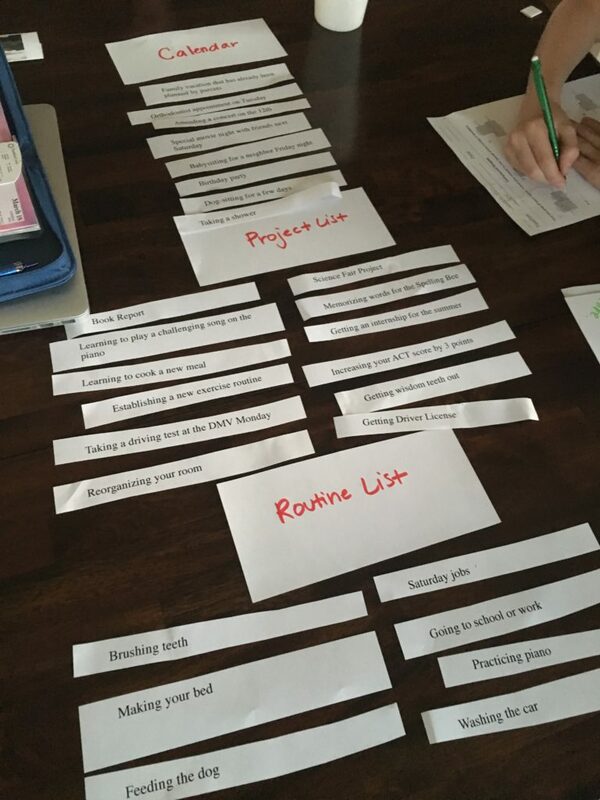 Part 3: Practice categorizing tasks and projects (5 min) – Use a list of examples to practice sorting into projects, routines, and calendar items. Part 4: Identify Next Actions for projects from Part 3 (5 min) – What is the next specific, visible activity that you could do in 10 minutes or less that would move each project forward? I sat down with each child individually to help them get these set up. A calendar can be kept on paper or digitally. 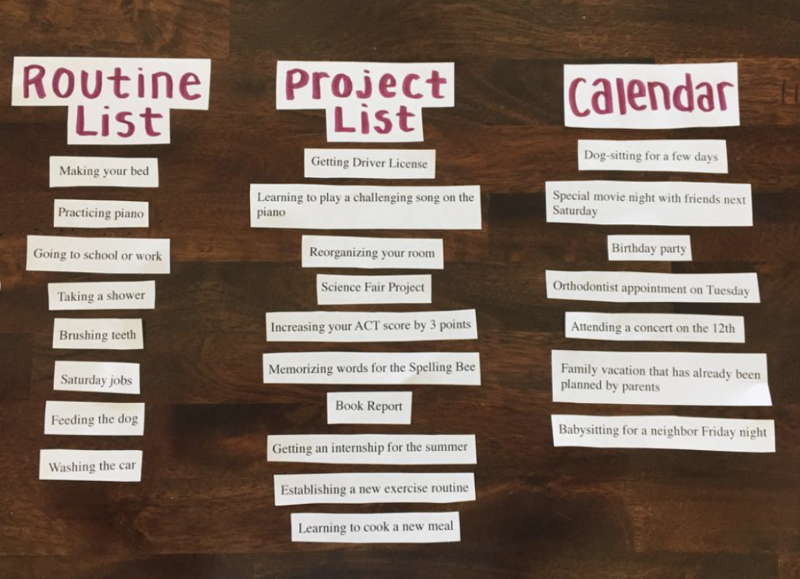 Projects can be brainstormed on a piece a paper, then narrowed down to 2-5 Current Projects, with the rest on a “Next in Line” list. 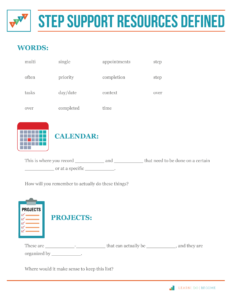 Keep routines on a sheet of paper, organized by daily, weekly, monthly, quarterly and yearly. Discuss how to use this list, checking things off throughout the week so that it can be completed by the end of the week. My daughter, Grace, really took this to heart. 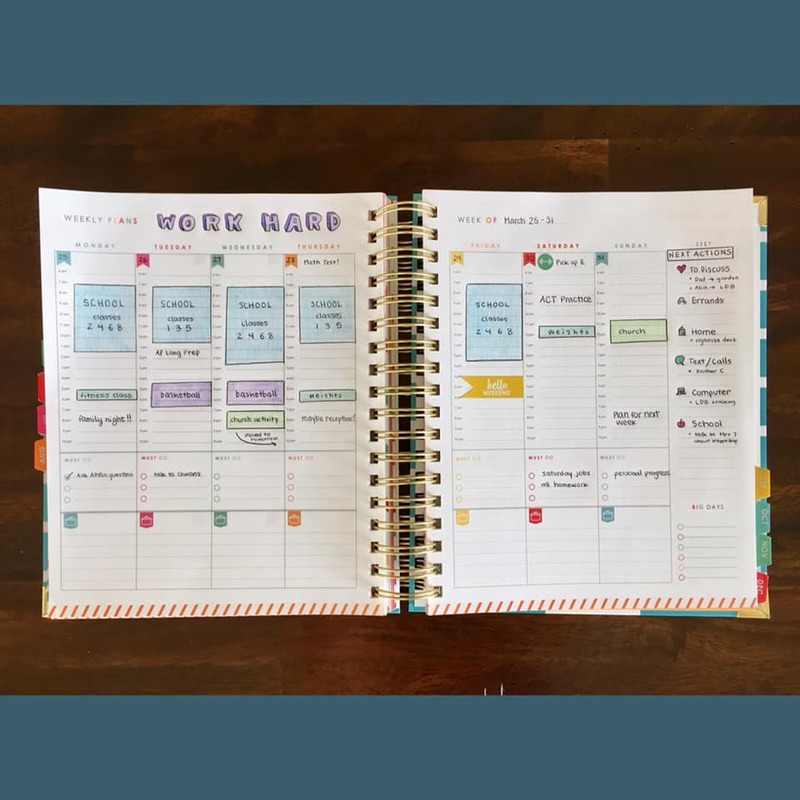 She has a beautiful planner set up that holds her schedule, homework due dates, and her Next Actions List. 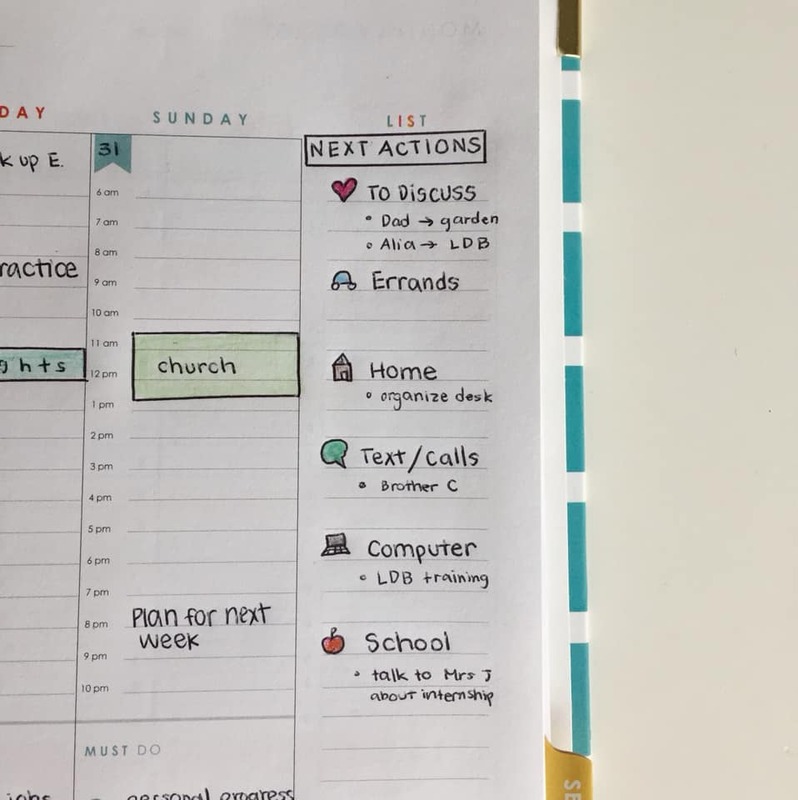 Her Current Projects list is on a Post-it inside her planner. And then she keeps appointments in a digital calendar in her phone. Looking for some ways to overcome resistance? Often, when we try to do something new or something “bigger” that leads us toward our true purpose, we feel a substantial amount of resistance. At minute 26:00 in the podcast, I share the kinds of thoughts that make up my own resistance as I am working to help 25,000 of you build STEP Command Centrals this year. I’m hopeful that by hearing my story, you’ll realize you are totally not alone! Just click the player button at the top of this page and scroll to whichever part(s) of the podcast will serve you best! 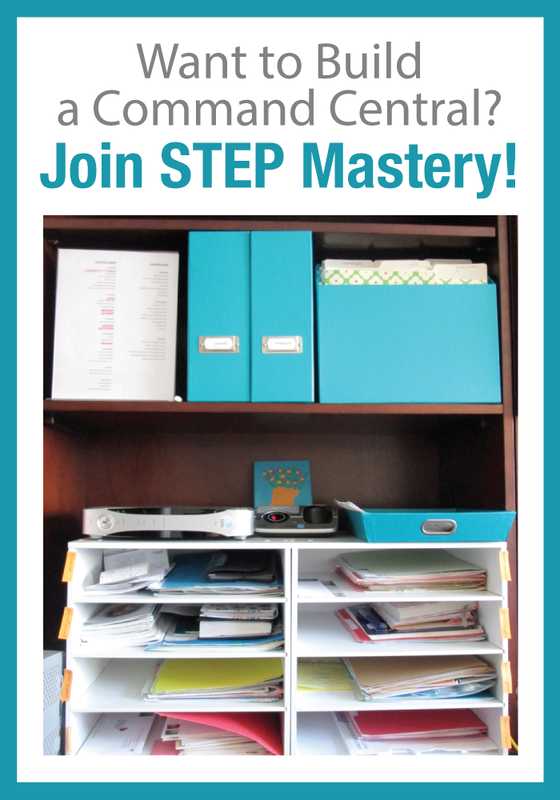 If you want to learn more about creating a Command Central, we’d love to have you come join our free training. 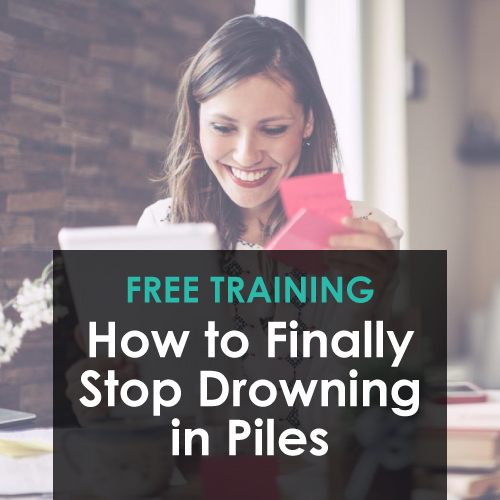 We will teach you four simple steps to clear your mind and get rid of the piles–excited to see you there! Our oldest daughter, Alia, loves the Steps for Everyday Productivity (STEP) program. 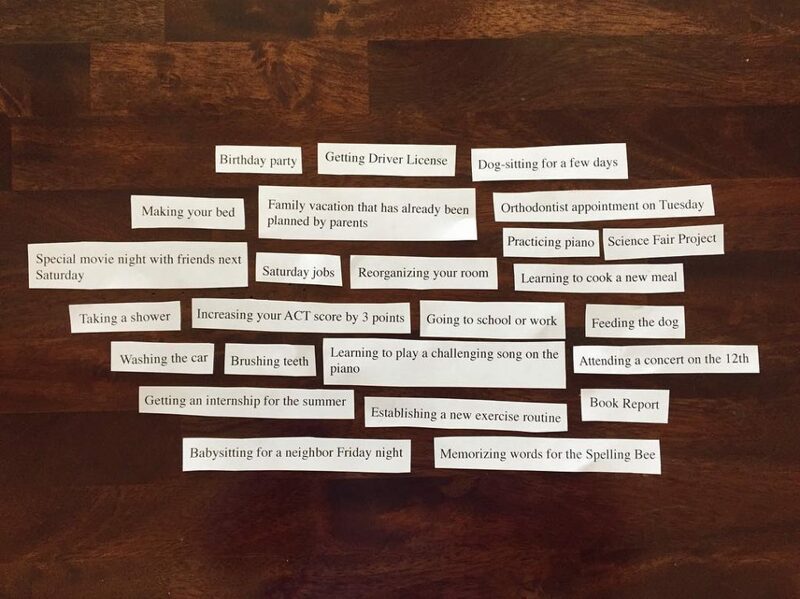 She has created a STEP for Students program, totally geared towards teenagers and students. Check it out here! If you love Grace’s planner by Ruth Soukup of Living Well Spending Less, you can get $5 off your own planner by using *this affiliate link. In her interview with Brené Brown, Oprah Winfrey talks about how you cannot live a brave life without disappointing some people. Watch the full interview here! ***This page includes affiliate links. Please read our disclosure for more info. Wow! Very highly impressed! I did an exercise just before I read your email. I put four quadrants on a large piece of paper and titled each one as: Home, Bills, Maintenance, Stuff. Then I made a list under each and as I tackled items on each I got a visual view if my energy and time spent. That helped me to see I was making progress. So systems do work and make a difference! Love your sorting one! That is fantastic, Julie!! Having a visual is awesome. So glad you are here with us! April, like in Anne of Green Gables, we are kindred spirits. I have my franklin planner started using in 1991. Love LWSL. Julie Morganstern. I am a displaced mom. Not able to have kids. I am a 24/7 caregiver for 93 year old Mother-in-law. RN. And resent widow after 41 years of marriage. I heard your heart on studying to show yourself approved. Lately I am hearing more about the donkey that spoke to Balaam in the Old Testament. If you can use anything Lord use me. Thank you for your God given passion. Day one on starting piles. 13531 emails down to 12897. So, so happy to hear this! Yes–can’t WAIT to see photos. It makes my day to see this coming to life for you and your family. Go Lynda!! Thank you for being so honest! I have felt very overwhelmed and as I pray for help, God keeps urging me to finish the STEP program and then you keep creating these podcasts that feel like you are making them just for me and my personal struggles. You are quickly becoming a voice of friendship for me. Thank you for following the promptings and for your example of bravery! Nisha, your comment totally brought tears to my eyes! I know 100% that your overwhelm will substantially diminish as you get your system in place. It doesn’t solve “everything,” but it solves a LOT. So, so happy you are here and that we are friends! Sending a huge hug!! Angela, thank you for your heartfelt message! We are so grateful to have you as part of our community. You are destined for great things! We look forward to supporting you through our STEP Program! Angela, your beautiful comment is still replaying in my head. It means so, so much to hear how you have been feeling and to know you are here with us. Sending a HUGE hug! So excited for you!